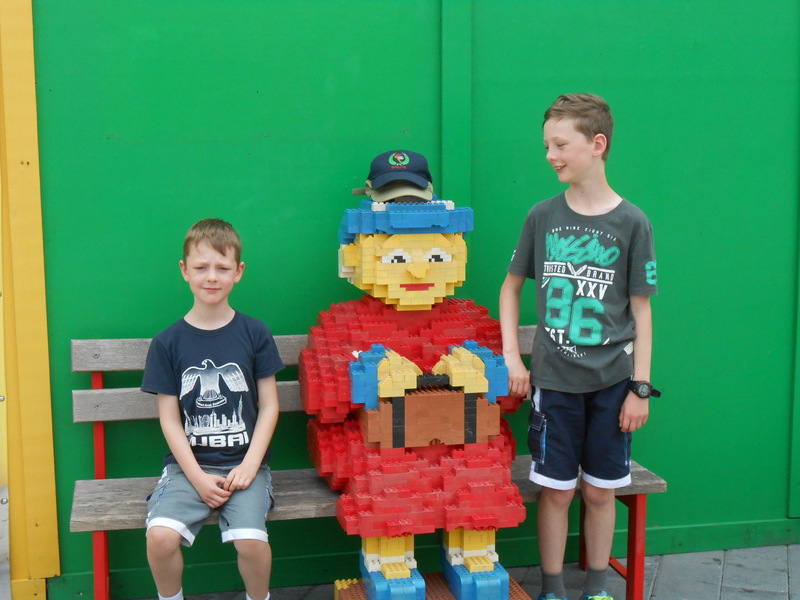 Sam and Dom – ready for Legoland! 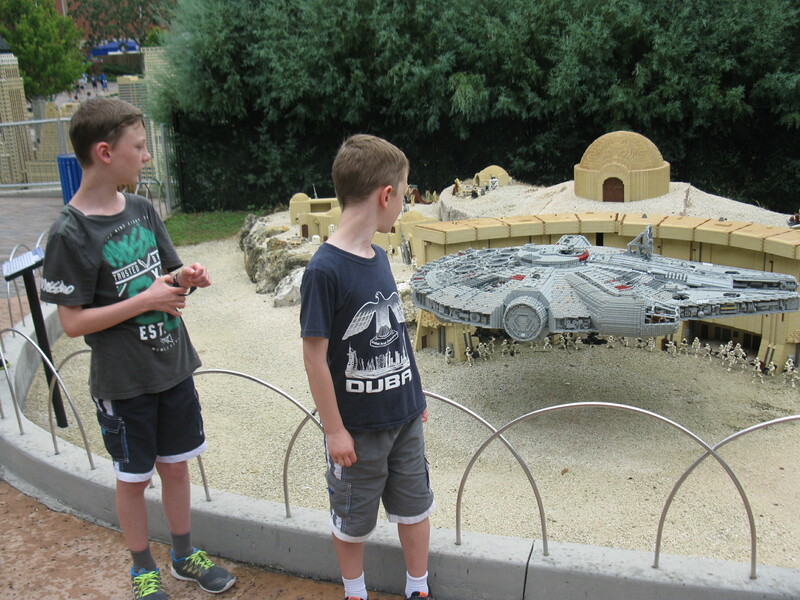 My boys were always destined to be legoheads. My own Lego had been kept in a suitcase at my parents’ house for decades, with each set stored in its own blue plastic bag, and instructions meticulously hole-punched and numerically filed. “You may have boys of your own one day”, I recall Mum saying. She was right, and the choice of which plastic bag to choice became the highlight of any visit to their grandparents. 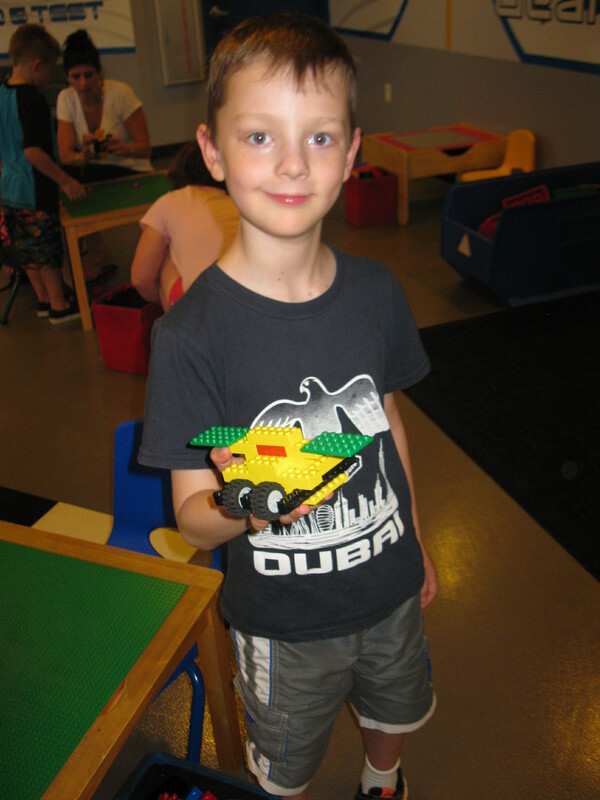 I’m not exactly sure what it is about Lego that sparks the imagination of boys across the world, and it does seem to be mainly boys. It also gives Dads the chance to relive childhood memories, sometimes long after their boys have gone to bed. 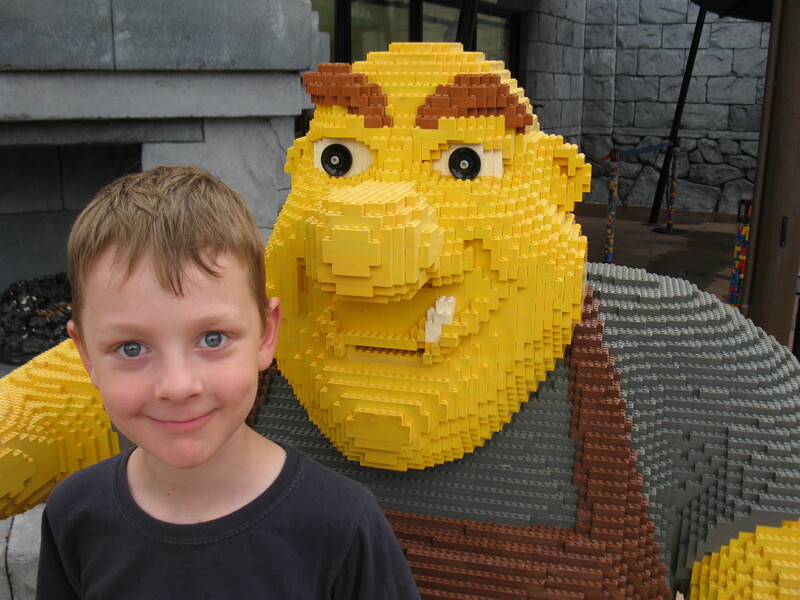 Lego has never really been out of fashion, but recent years have seen the release of an ever-increasing number of themes, allowing Lego to enjoy mutually beneficial relationships with the people behind Harry Potter, Batman, Star Wars, the Lord of the Rings, the Teenage Mutant Ninja Turtles, the Simpsons, and many others. 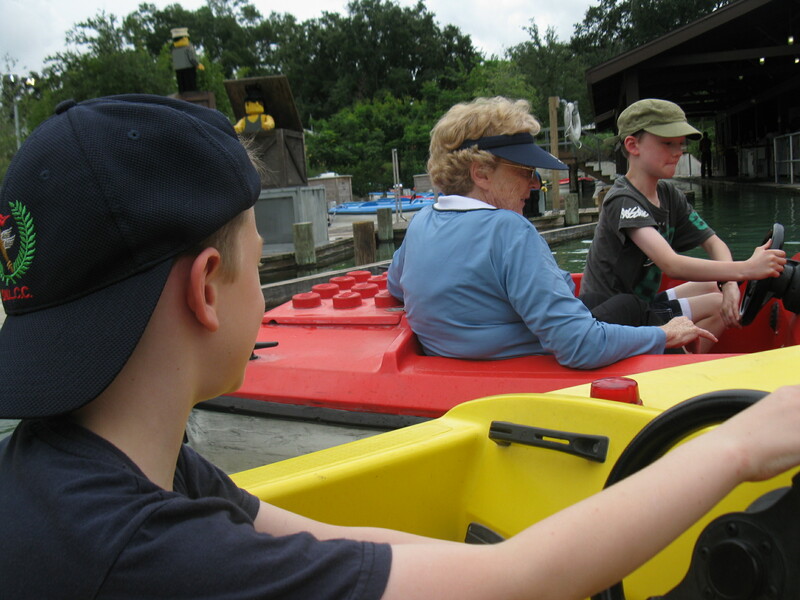 In addition to the video games, board games, TV shows and movies, children can enjoy a trip to Legoland. 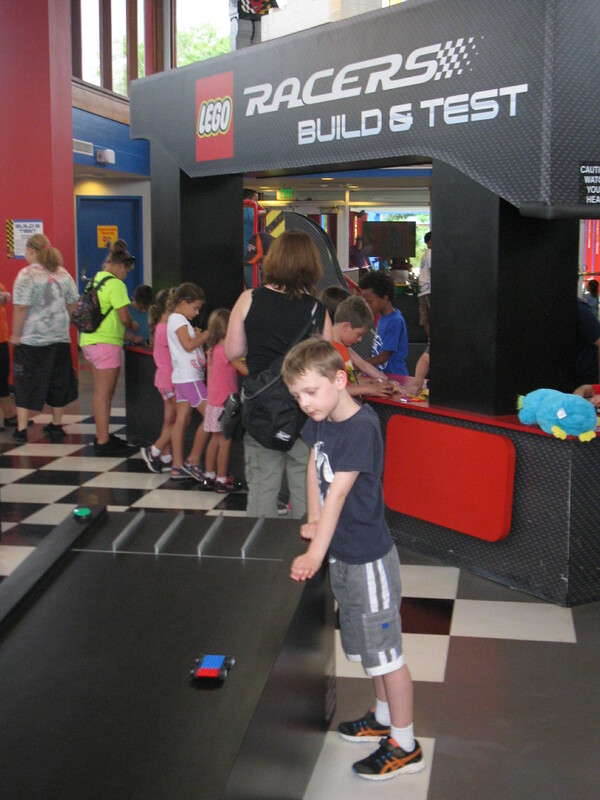 Legoland is not a new concept, but in my day a trip to Legoland involved a trip to Billund, Denmark, home of Lego. For a six-year old boy in New Zealand in 1974, that didn’t sound a very realistic goal. A trip to Europe was as likely as a trip to the moon. At least you could see the moon. But sometimes the unexpected can occur, and in 1993 I met a Danish couple from Billund who travelling through New Zealand. I was invited to stay with them when visiting in Denmark in 1994, and at the age of 25 finally achieved my boyhood dream. 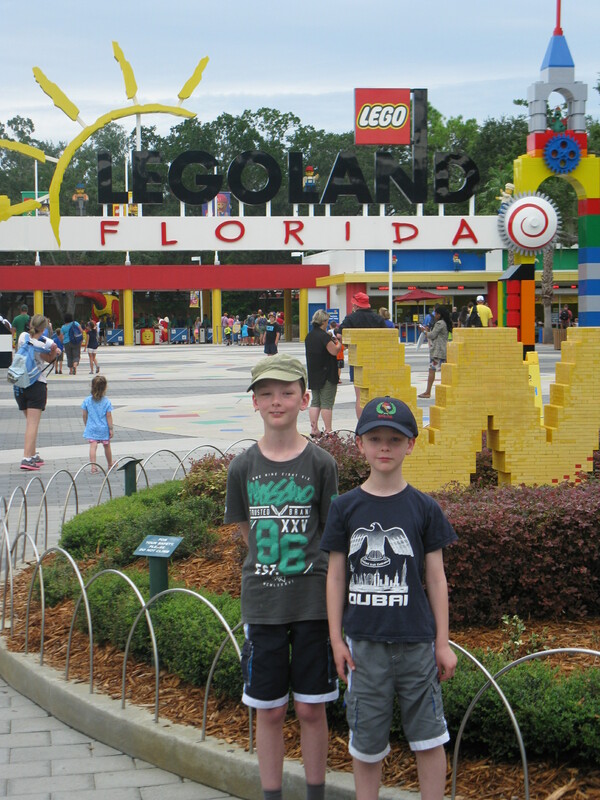 Fast forward exactly twenty years to 2014, and there are six Legolands around the world, and now I do have boys of my own. 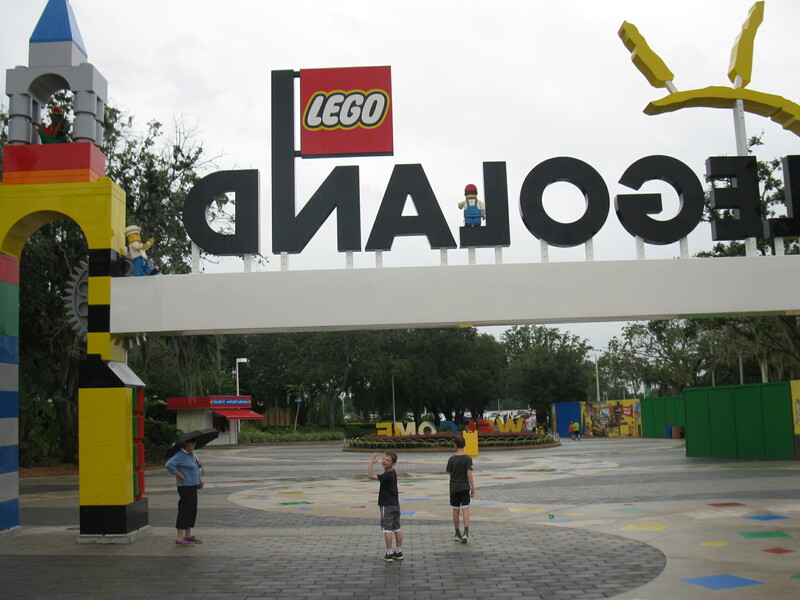 We’ve decided on Legoland Florida and the boys are checking out the attractions on the website. 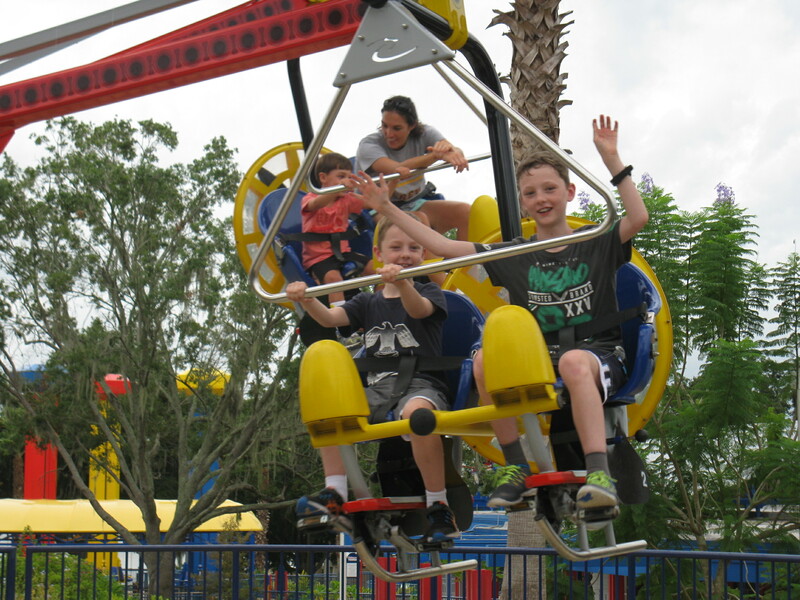 My kids are not really daredevil kids – you won’t find them anywhere near a rollercoaster. 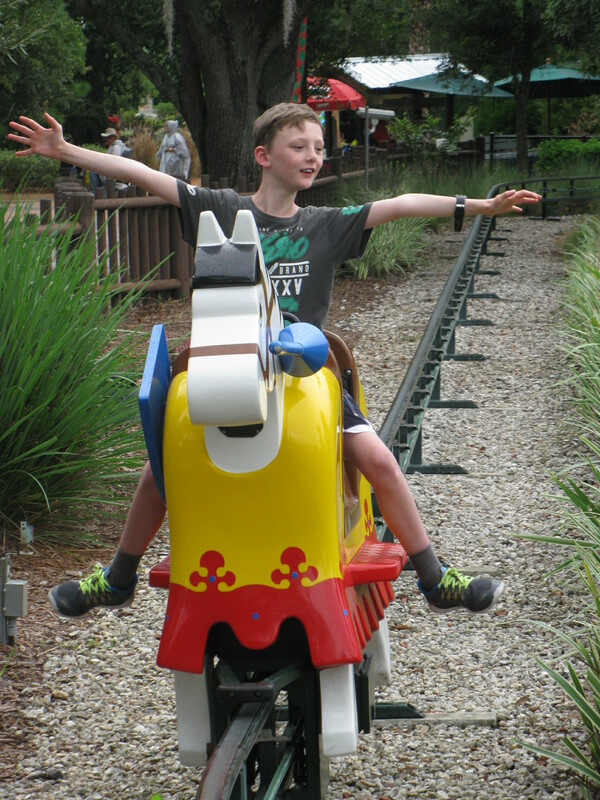 Their thrills are a lot more sedate, but sometimes a parent doesn’t mind that at all. Fast forward a few months more, and we’re sitting in the Market café. We’re here in September, which is the least popular time of year for visitors – maybe because of school schedules, maybe because of the weather. Regardless of that, we have the café to ourselves. I’m slightly disappointed that nothing we order is rectangular with eight studs (the official terminology for those bumps on top), but it’s a healthy start to the day. 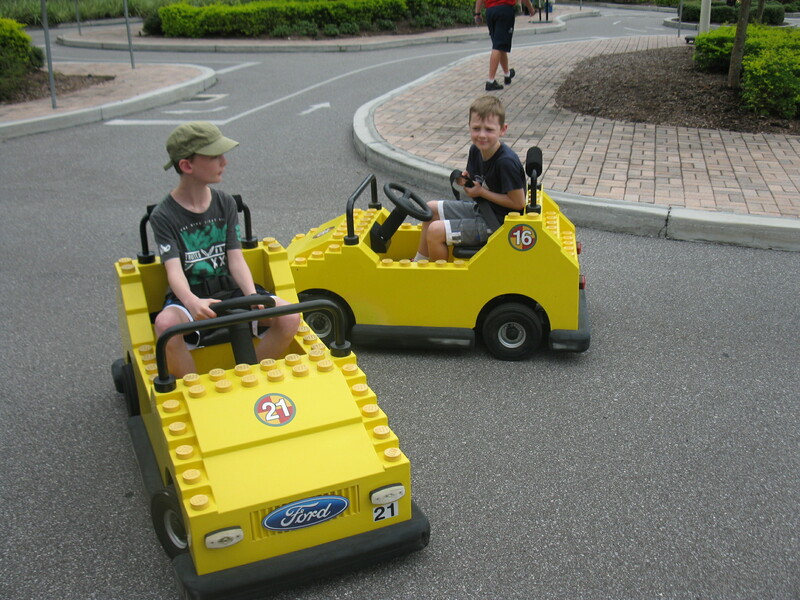 The boys want to start with the Driving School, and they soon find themselves sitting behind the wheel of their own vehicles. 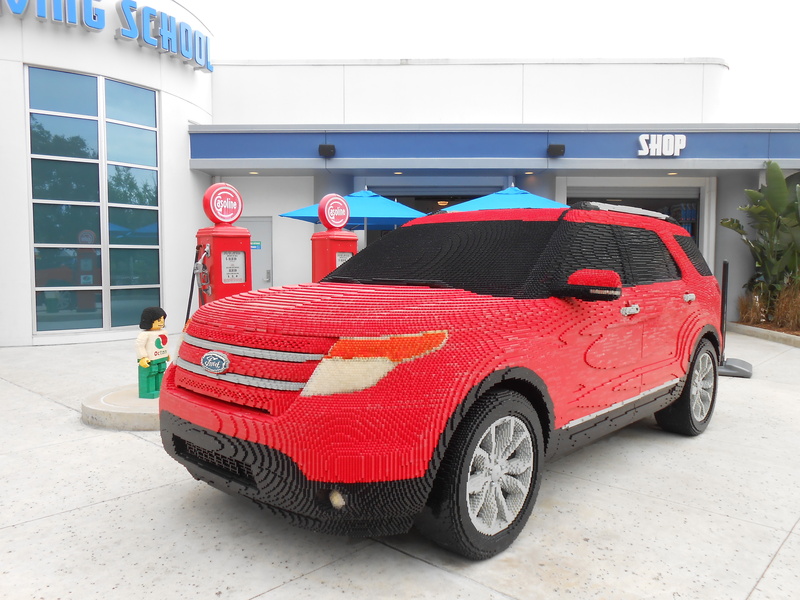 At ages 8 and 10, they don’t have a lot of experience driving, so there’s a lot of over-steering and over-correction. Why drive in a straight line when you can do a figure of eight. They’re also not familiar with driving on the right, as we drive on the left in New Zealand, but I’m impressed that they quickly adjust to that. There are a few encounters with the fence line, and without a reverse gear, they have to be pulled back into circulation. We also find keyrings and magnets with Sam and Dominic’s names (a rarity for Dom), so it’s a great start to the day. What side of the road do we drive on here Dom? Can I have this set Dad? 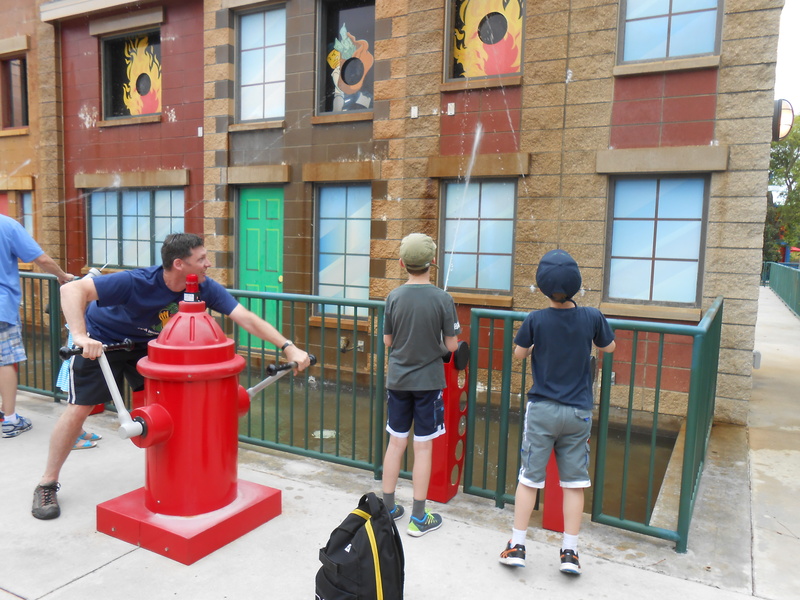 After a slightly disappointing session with some remote control cars that (a) don’t do what they are told, and (b) have nothing to do with Lego, we’re off to the NFPA Rescue Academy. 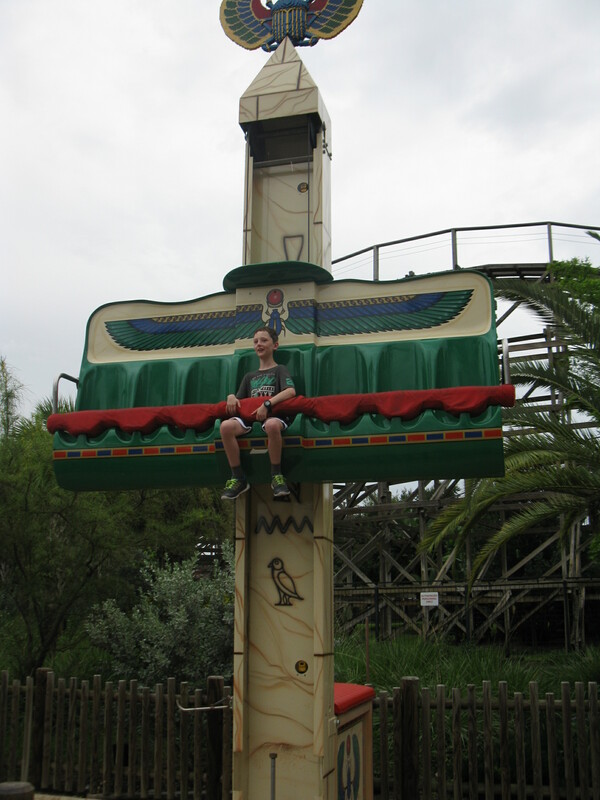 This is not advertised as the ride where the parent has to do all the work, but so it eventuates. 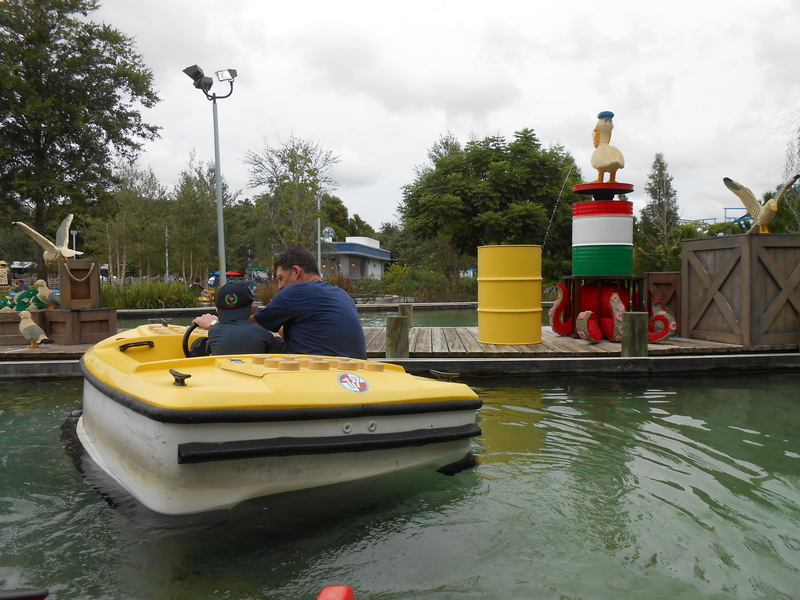 Someone has to man the pump if the volunteers are to put out the lego flames. The steering issues from the Driving School resurface at the Boating School. 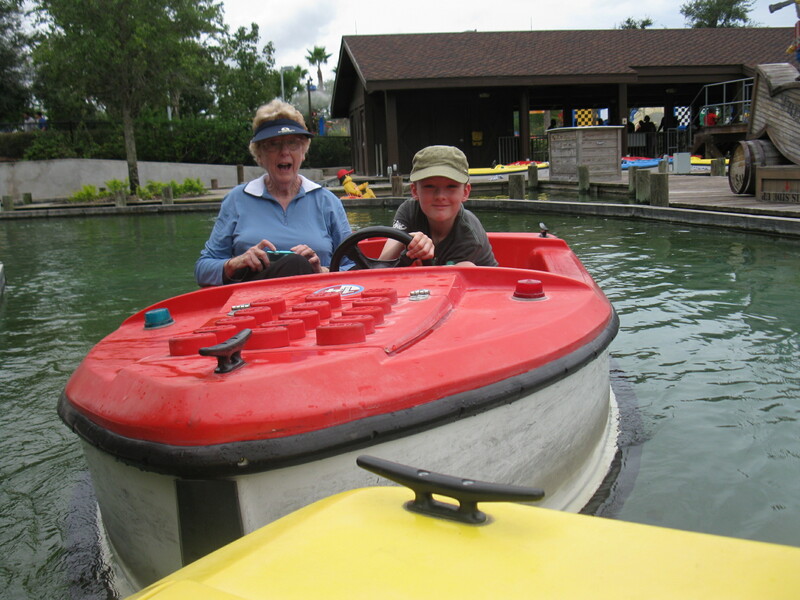 Each boy needs an accompanying adult, so Dom captains our craft and Sam takes his Nana for a spin. Unfortunately, there was more spinning than progress. Clearly the adults are there to assist, but this assistance may not always be accepted willingly, and we somehow find ourselves going the opposite direction to every other boat, blaming our issues on a non-existent current. 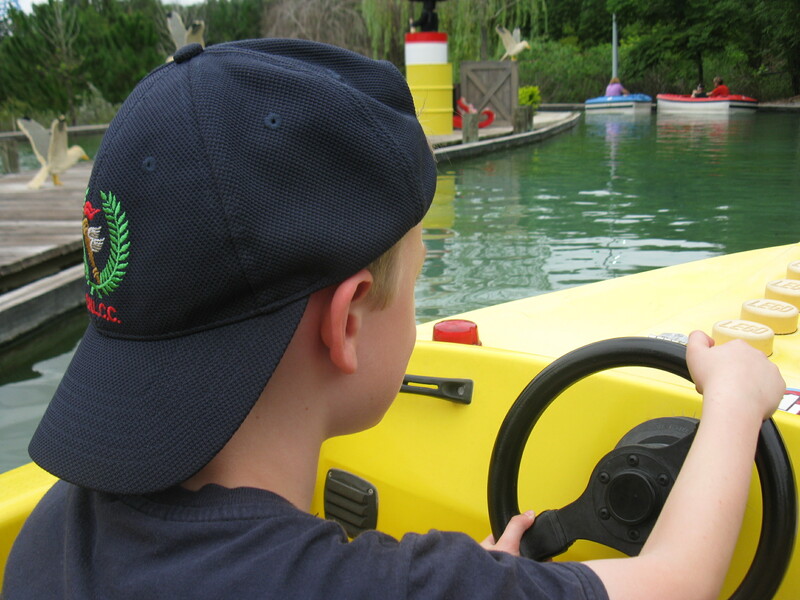 Sam quickly realises that the more the boat strays off course, the longer our circuit will take. He’s loving it – it’s not every day you get to ram a boat into your brother and your Dad. Don’t touch my steering wheel again Dad. Sam taking some enjoyment from ramming us. Nana not impressed. The next ride takes some convincing, but soon becomes one of the highlights of the day. 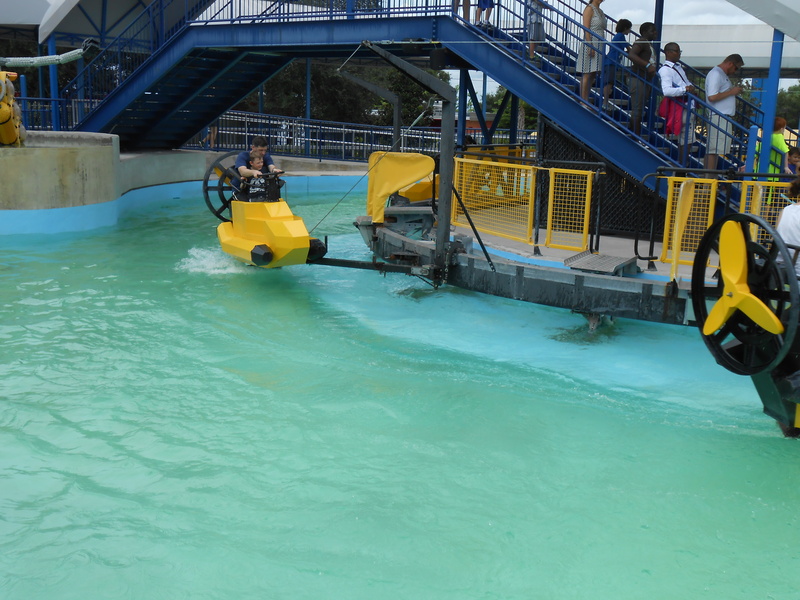 Aquazone is a ride where two people sit in a buggy and spin around in a pool, with the ability to change their height and speed. Non-riders on the sideline can also set off explosions of water around the pool as the buggies approach, but a poorly timed explosion can soak the spectator more than the rider – as Dom finds to his surprise. 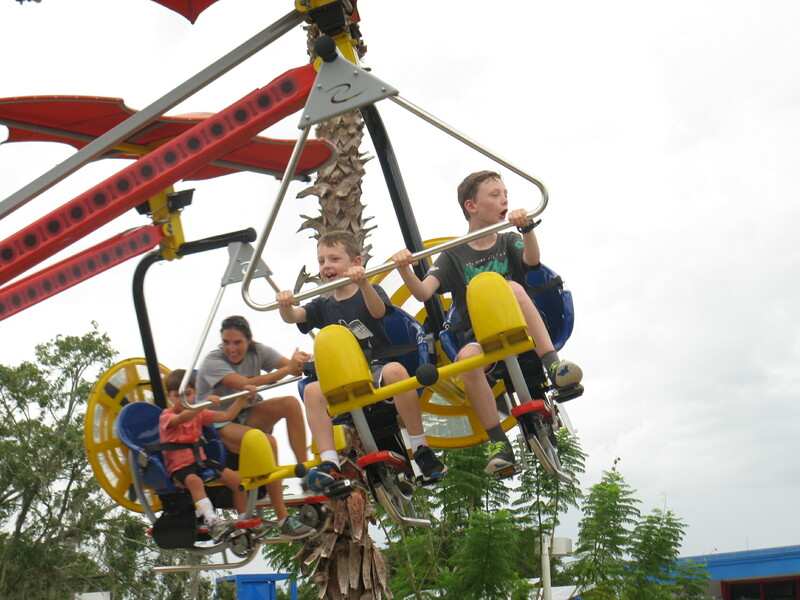 This is no roller coaster level of adrenalin, but lots of fun. Dad giving Dom a pep talk up top while Sam shows how it’s done. 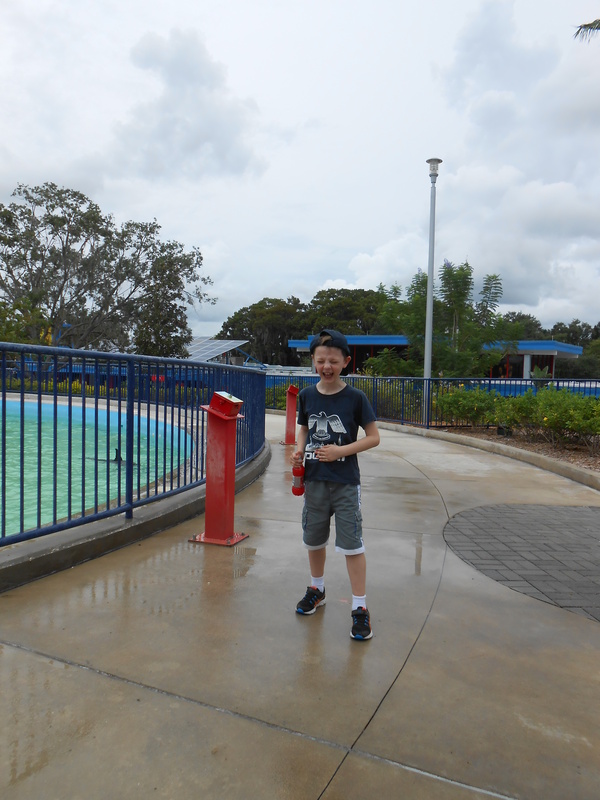 Dom accidentally drenches himself. Not impressed. The weather is still behaving so we buy lunch at Lakeside Sandwich Co and watch water-skiing practice on Lake Eloise. I think this is a sneak preview of the water-skiing display later that day, so having our own personal show is just fine. 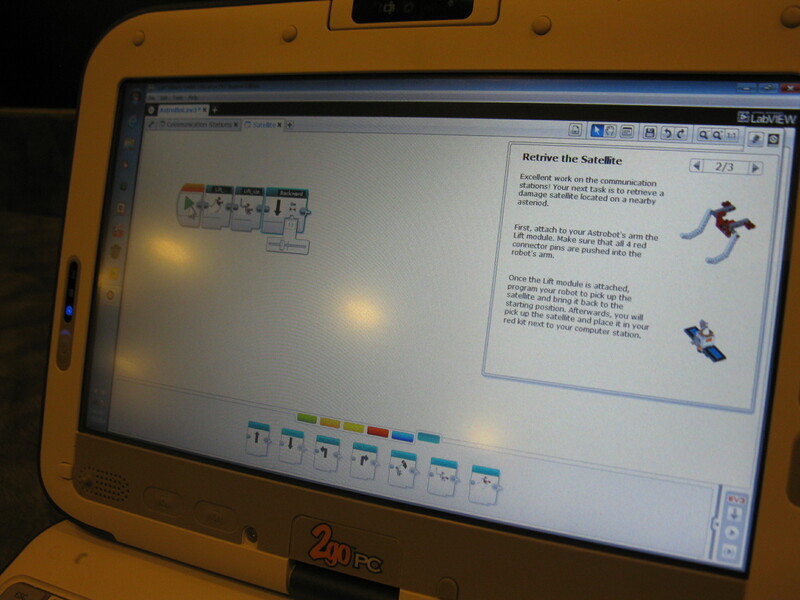 We’ve already signed Sam up for a programming workshop and test at 2pm, so lunch has to be finished by then. 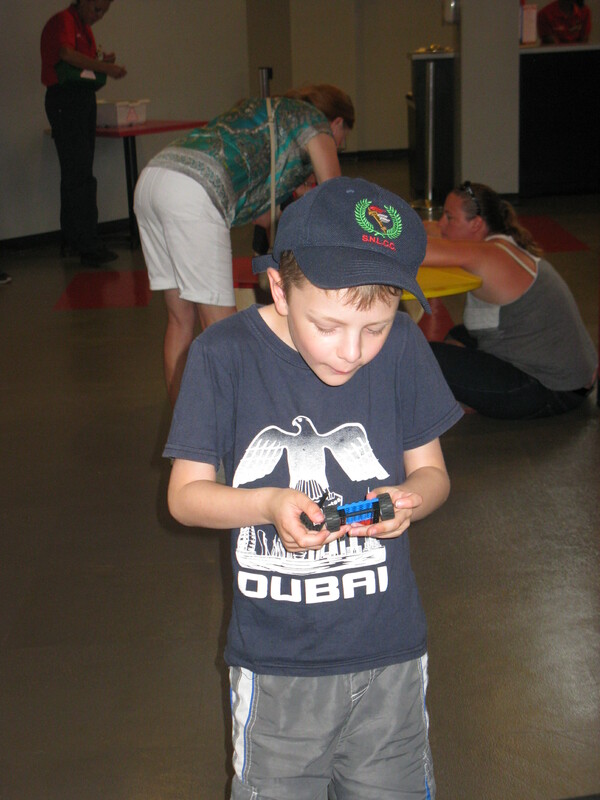 The chance to play with Lego Mindstorms, one of Lego’s more pricey products, is definitely the highlight of Sam’s day. 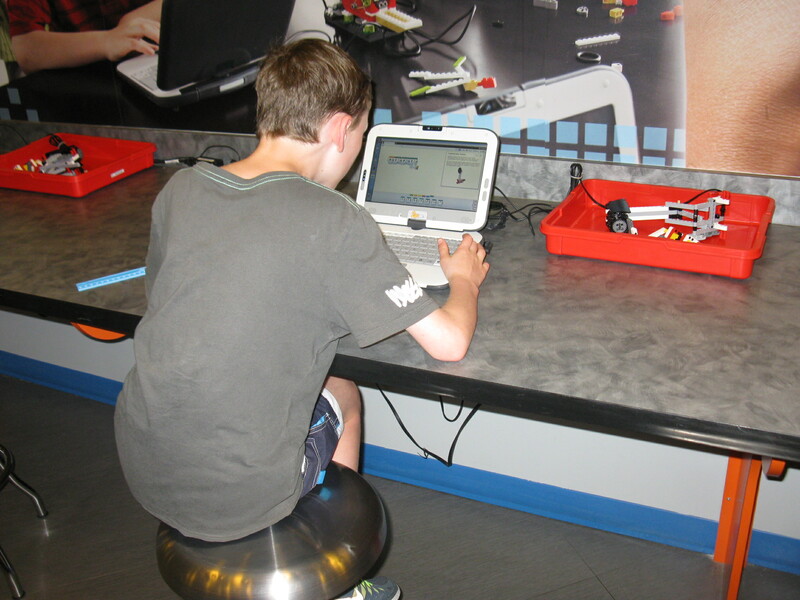 He’s one of four boys to be given laptops and programming challenges to complete – which sounds a lot more like school than a holiday, but he loves it. 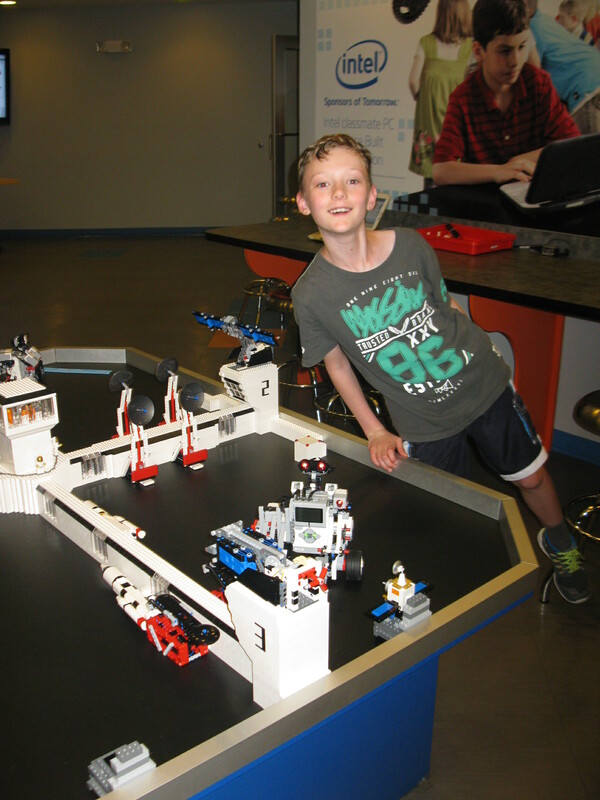 The success of the programming is judged by the ability of his Lego vehicle to move the correct distance, in the correct direction, and do all the tasks required, with each challenge being dependent on successful completion of the previous task. 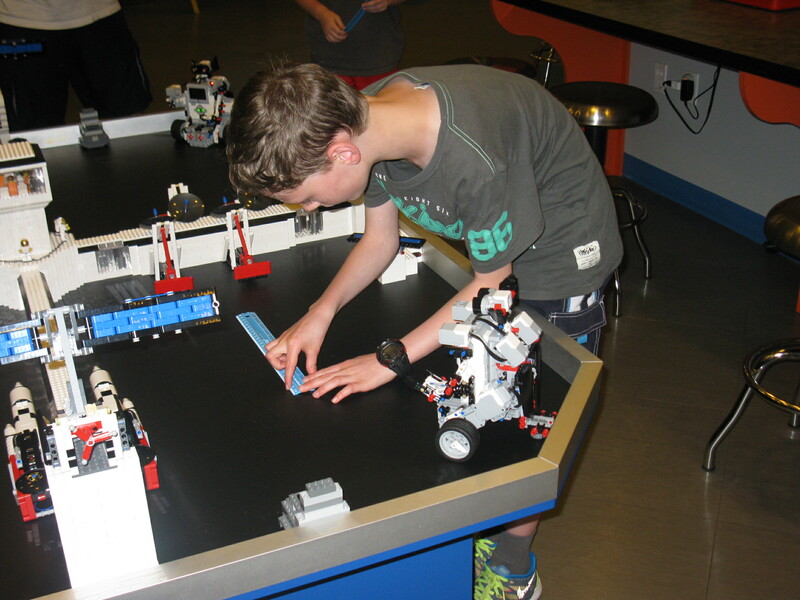 He hasn’t played with Mindstorms before, but he grasps it all very quickly, and is rightfully very proud of himself when he completes all tasks within the allotted time. Unfortunately, he has to give the laptop back at the end. 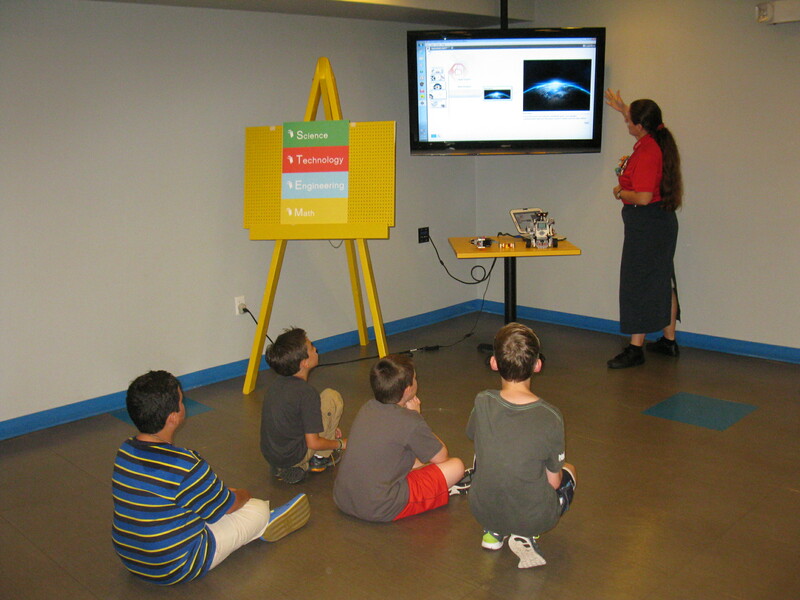 It’s a shame Mindstorms has to be so expensive. Your challenge should you choose to accept it….. 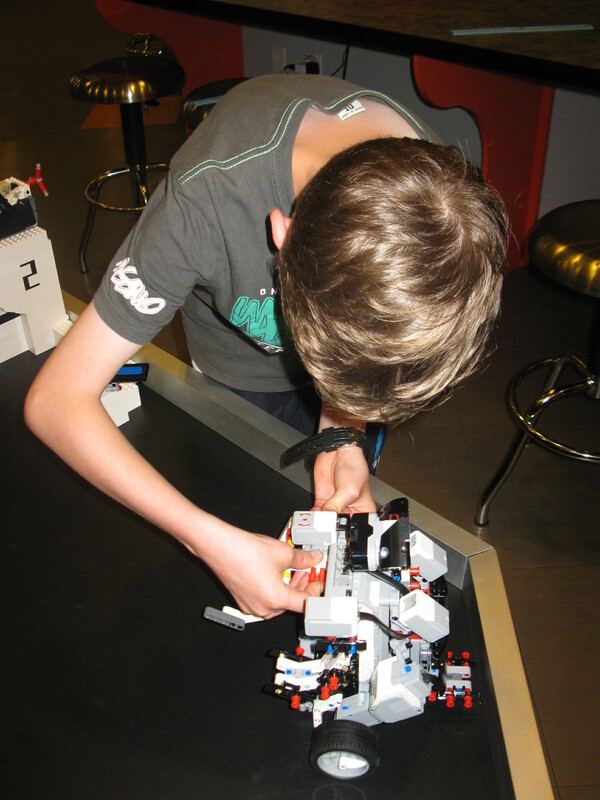 While Sam has been immersed in Mindstorms, Dom has been in competition to design and build with limited pieces a vehicle built for speed. 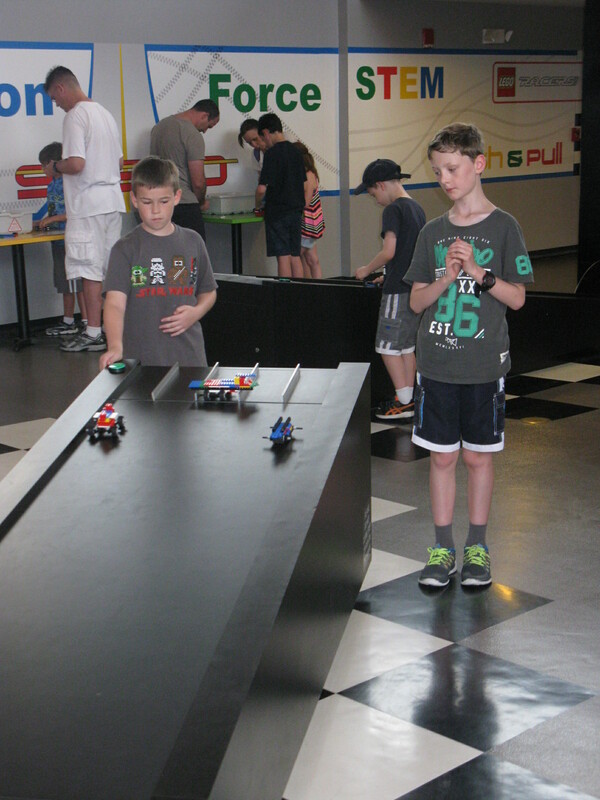 Races are held against other kids down ramps, and the competition is intense. Dom’s pretty pleased with his result, and Sam has time for a quick turn too. I’m finally allowed a break as the boys cycle themselves in circles on the Technicycle, before we all head to Miniland. 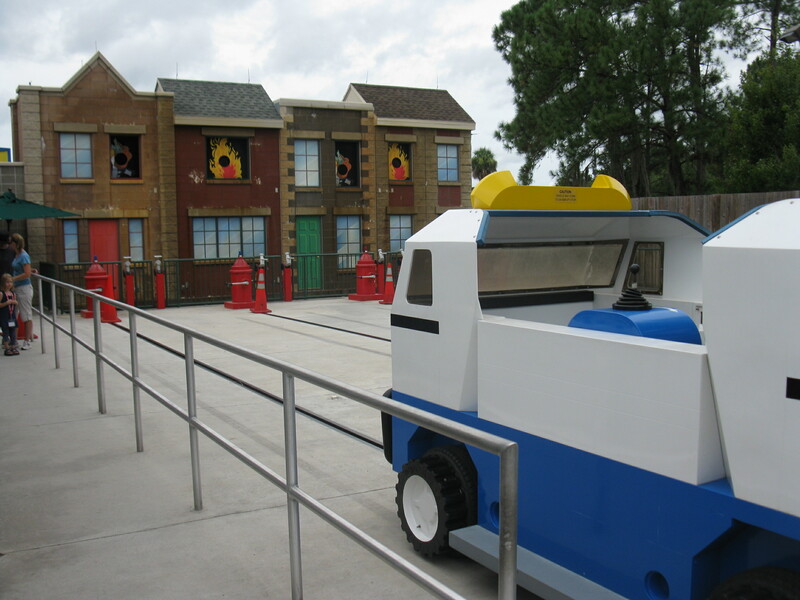 This bears a bit more resemblance to the Legoland I remember from Billund, but updated to include the latest crazes. 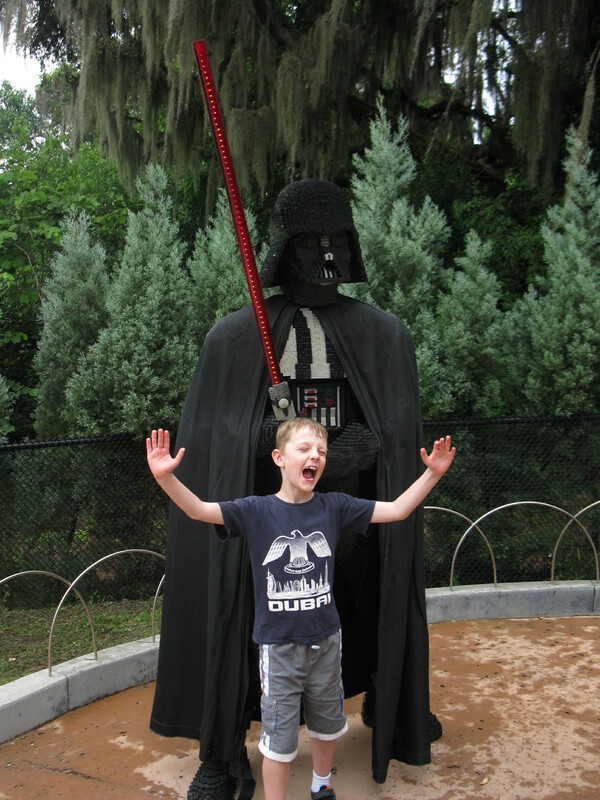 It’s good to see Star Wars in Miniland – another phenomenon that has survived the years to be equally loved by my kids. 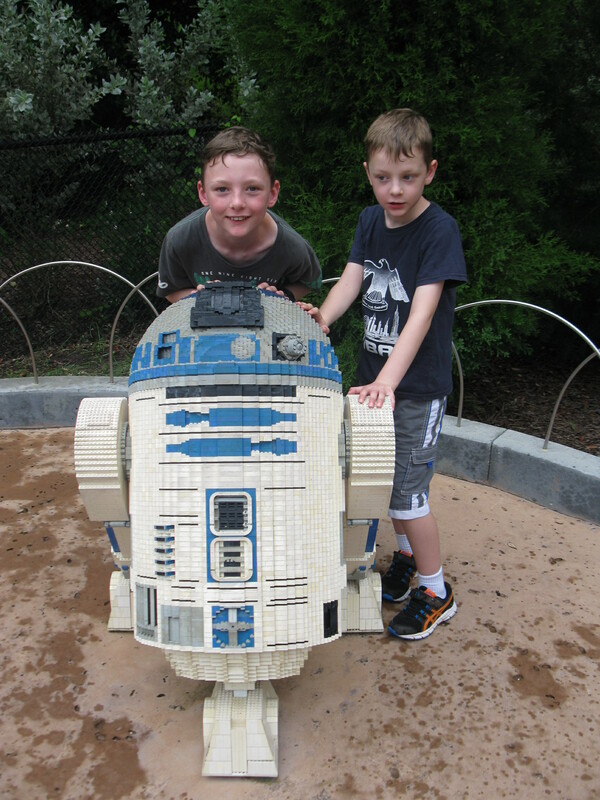 I suspect like many fathers and sons, we’ve agreed to disagree on the merits of Jar Jar Binks. 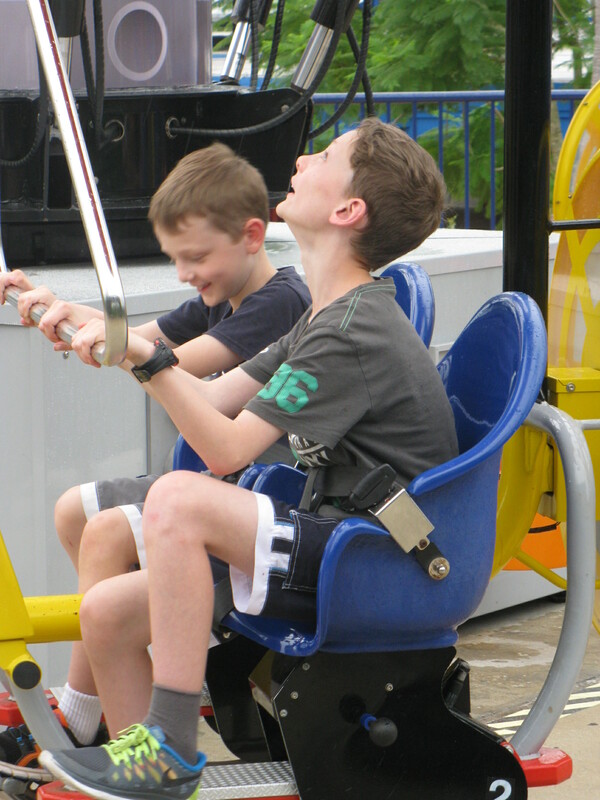 The boys are divided on Beetle Bounce – a ride that promises to boost the boys to new heights, 15 feet to be exact. 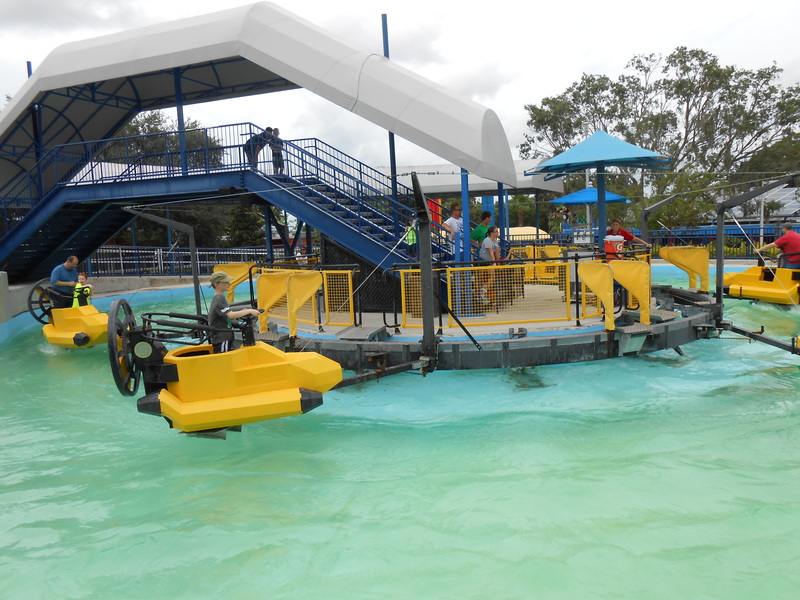 It’s more the rapid decent that Dom isn’t keen on, but this ride is another winner for Sam. The promised rain is now lurking, so we quickly find an indoor ride. Dom seeks clarification from the Lego helpers that he won’t be dropped from a great (or minor) height, or spun upside-down, and that the ride is flat for the duration. 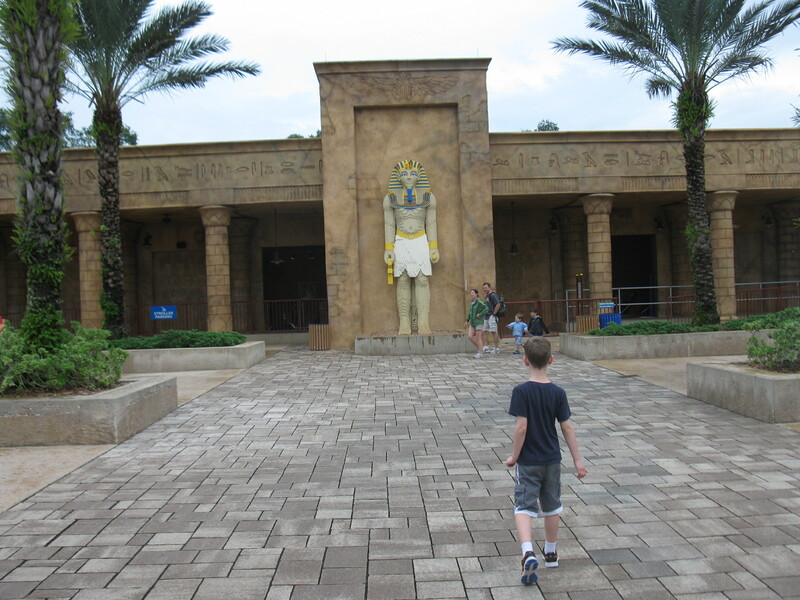 Once he is convinced of his personal safety, we embark on the Lost Kingdom Adventure. 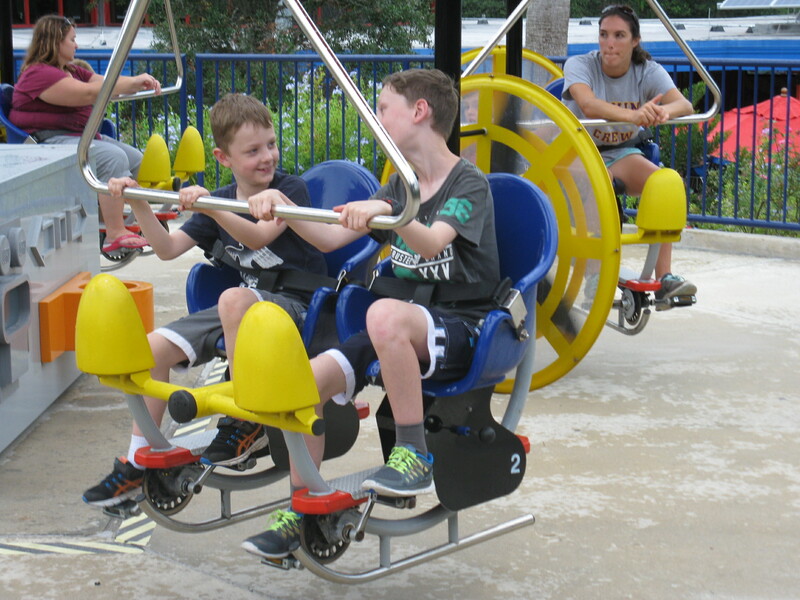 On this ride, we fire lasers at anything that vaguely resembles a target, not always successfully. The photographs taken during the ride show that one of the adults in the car is perhaps taking this a bit too seriously. We don’t often buy ride photos, but this one’s a bit different. The photo of the four shooters can be superimposed onto a small white Lego brick wall, complete with scorecard of laser strikes, thus immortalising forever the concentration required for shooting ghosts and other unwelcome guests in your own personalised Lego set. I’m surprised that the boys are keen for the Royal Joust. 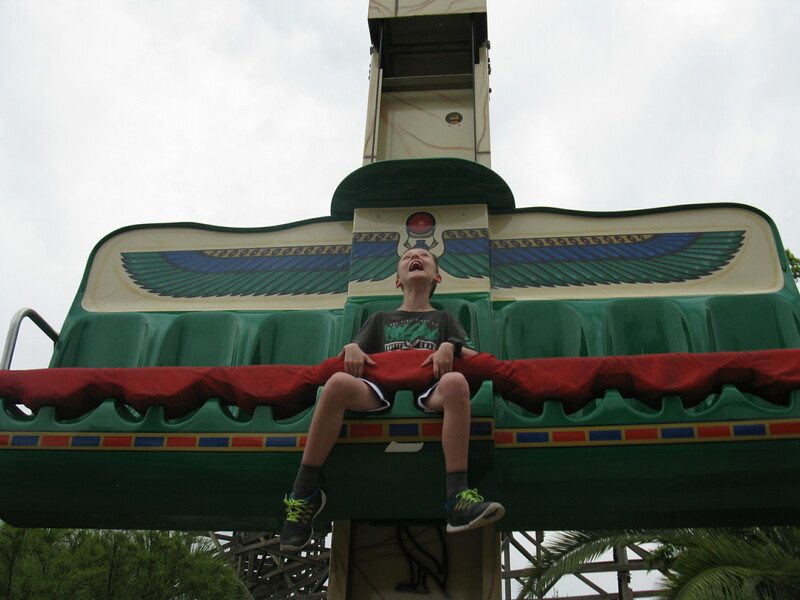 This ride takes tame to a new level. 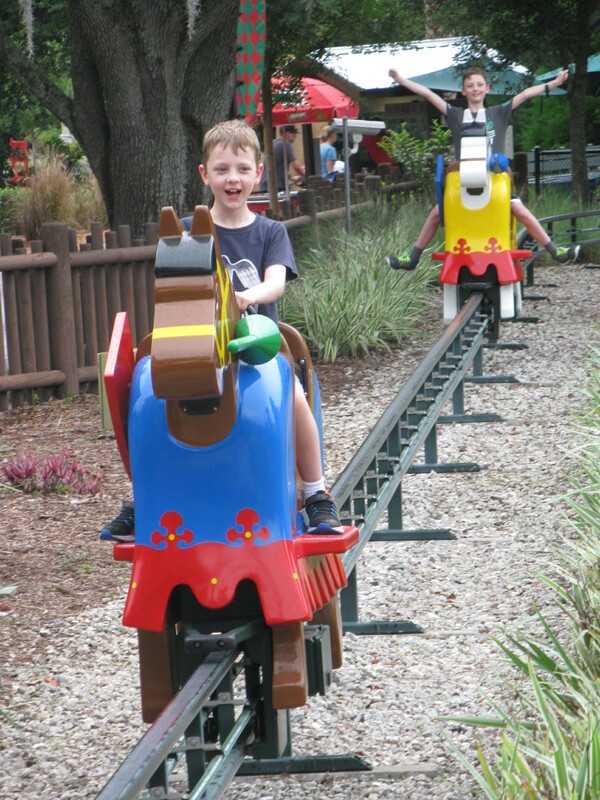 Maybe it’s the opportunity to be the only two kids on the entire ride, or maybe it’s the fact that on fixed wooden horses Sam can’t crash into Dom. 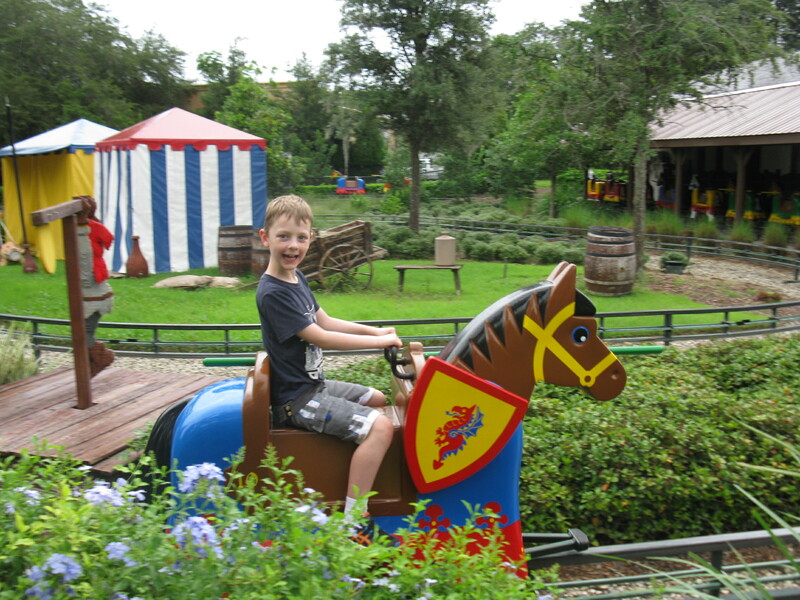 The fact that there is no jousting involved can’t hurt, and they cruise around with big smiles. 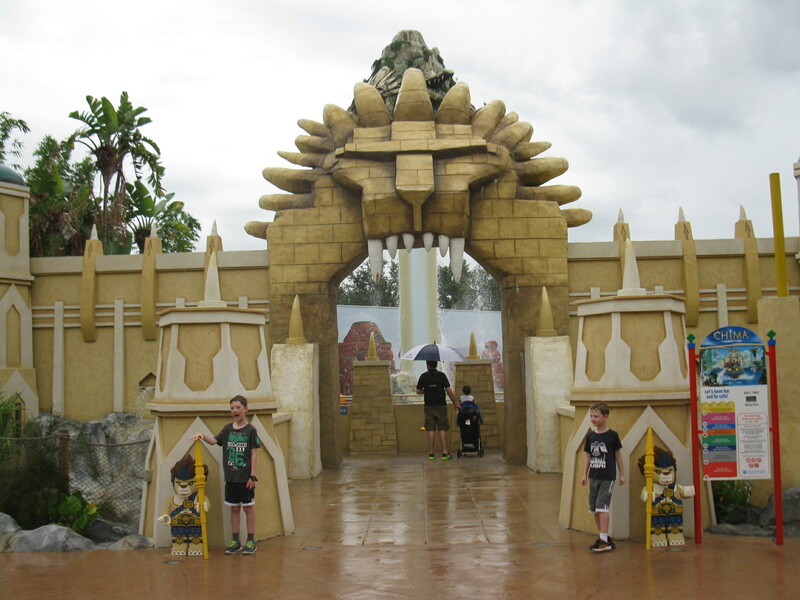 The rain suddenly changes from threatening to torrential, but the boys are keen on one of the Chima rides. 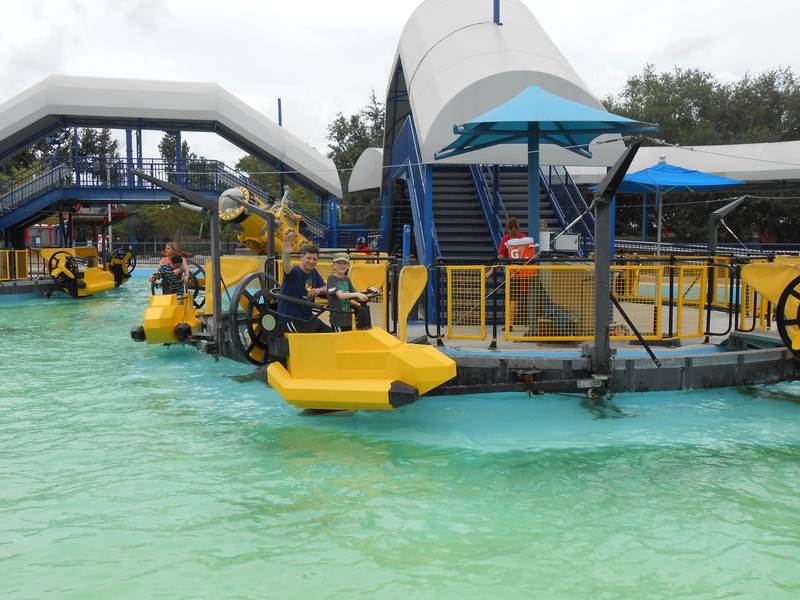 Sadly for them, everything either involves getting even wetter, or the guides have already deserted their post, assuming that no right-minded kids would want a ride in this weather. And they are right of course. I play the “Nana’s getting tired” card, and we head back towards the entrance. We take a brief look at the Studio Store, but decide against any purchases. We’ve already taken up a lot of the allocated souvenir space and are down to fridge magnets and pens. Our last stop is the Lego minifigure store, where the boys dig through fours barrels, one for heads, one for bodies, one for legs, and one for accessories. The result of much consideration is their creation of their own unique minifigures, and given the combinations they choose, I’m confident that they are unique. 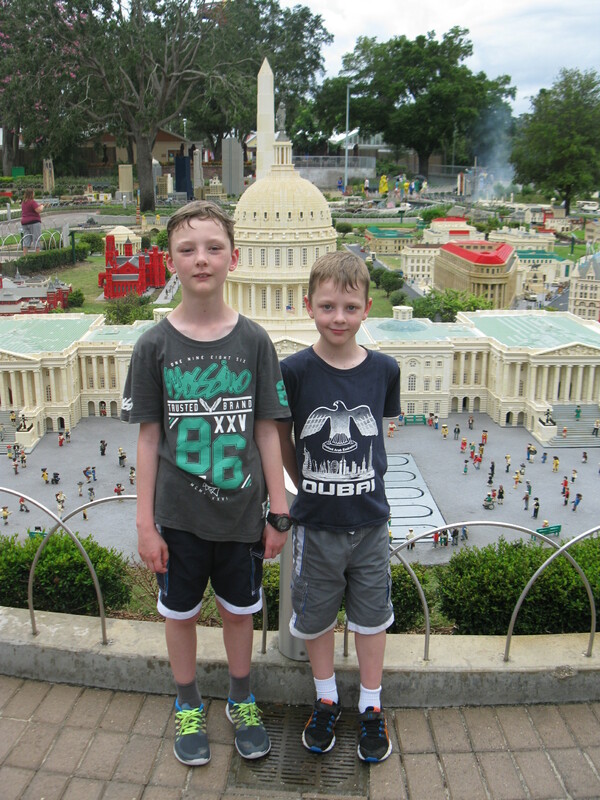 The minifigures are a great way to finish a very successful day, but we’ve been here since opening time, and now have eight very tired feet. These boys have had so much fun, but they’re understandably starting to wilt. We all know that we didn’t come here to relax. It’s time to regroup and start again tomorrow. Cape Canaveral awaits! 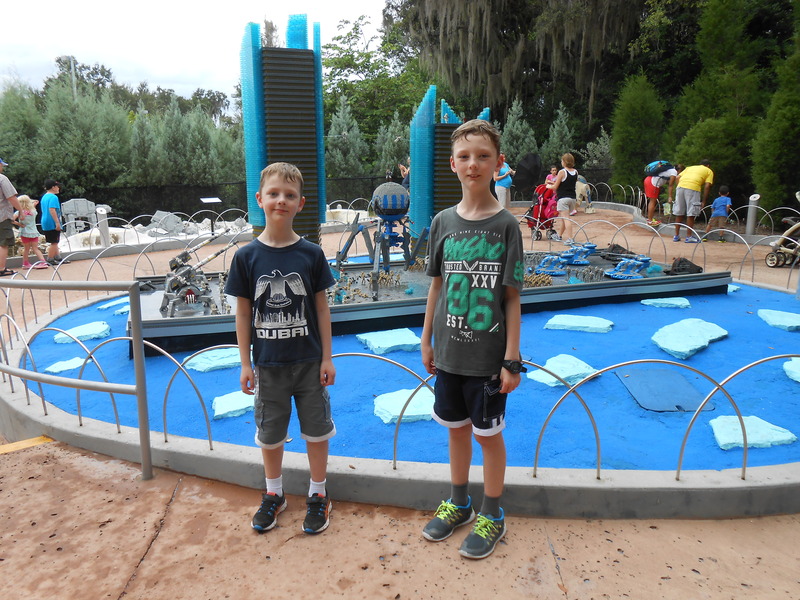 This entry was posted in Travel and tagged lego, legoland florida, mindstorms, travel. Bookmark the permalink. It sounds as if they had a ball. 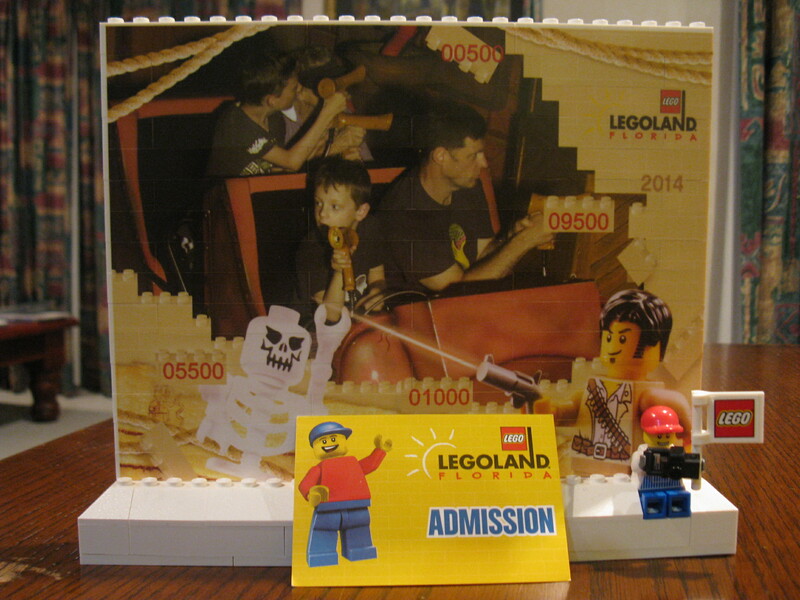 I first had the privilege of going to Billund in 1978, and then again in 1992. I took my husband the second time, and I know he wondered about my choice beforehand – but it ended up being a highlight for him. Not quite so action packed as your adventure though. I have just come into proud possession of my brother’s BAYKO set – a kind of very early forerunner in the building concept. I plan on building something with it in the new year. 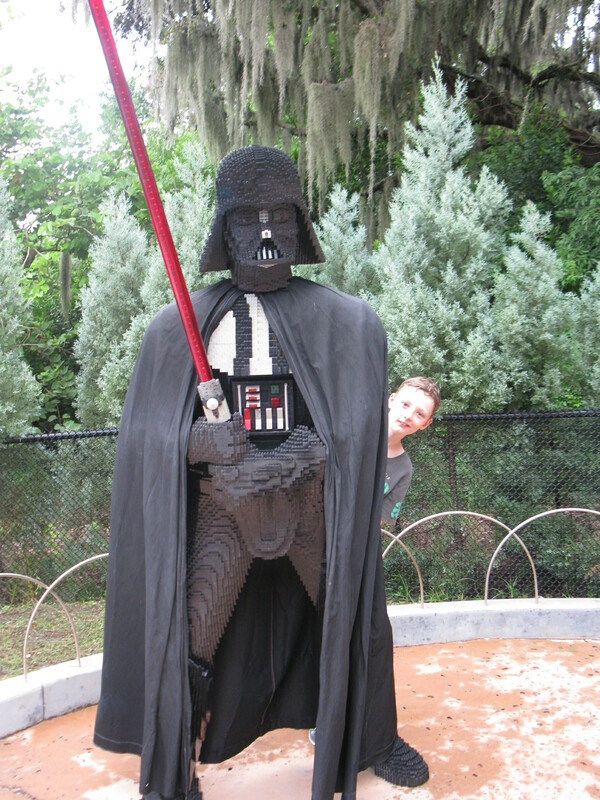 Hi Gwendoline, my memory may be playing tricks, but it seemed that everyone I met through my friends from Billund either worked at Legoland or had worked there in the past. I thought it would be a bit tragic being there at 25, but I loved it. I know that Lego never went away, but it did seem to have some quiet years. Maybe they were the years before my boys were born. It’s great to see Lego with such a high profile again. I’m sure Denmark must be hugely reliant on them.